Animal producers are facing the challenge of maximizing profits or, worse-case, minimizing losses based on many factors outside their control. “Antibiotic-free” and “gut health” are words you have been reading and hearing more frequently. In today’s environment, producers must look at ways to continuously improve by adopting new methods and technologies to keep animal production sustainable. 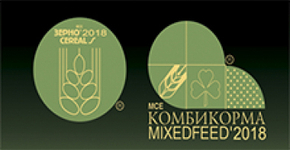 Leading Russian industry experts, feed and animal producers will discuss modern methods of quality control, shedding light on consumers concerns around feed and food safety. The event is followed by cocktails and hors d'oeuvres.